Qualys Community Edition | Qualys, Inc.
Sign up for Qualys Community Edition instead! A free version of the Qualys Cloud Platform designed for the security community. Qualys FreeScan has been retired. We invite you to try the newer and more powerful service: Qualys Community Edition – a free version of the Qualys Cloud Platform designed for the security community. Discover your IT assets and their vulnerabilities, identify compliance gaps and get detailed reports using the industry's most accurate and comprehensive security assessment platform. Organizations can now harness Qualys’ cloud platform and services to protect their own or their clients’ IT assets and web apps in hybrid IT environments – on premises, in clouds, at endpoints. There’s nothing for you to install, maintain or manage: All services are on the cloud, accessible via a web interface. The Qualys Community Edition is built on the Qualys Cloud Platform, which performs 3+ billion annual scans with Six Sigma (99.99966%) accuracy, and processes 1+ trillion security events per year. 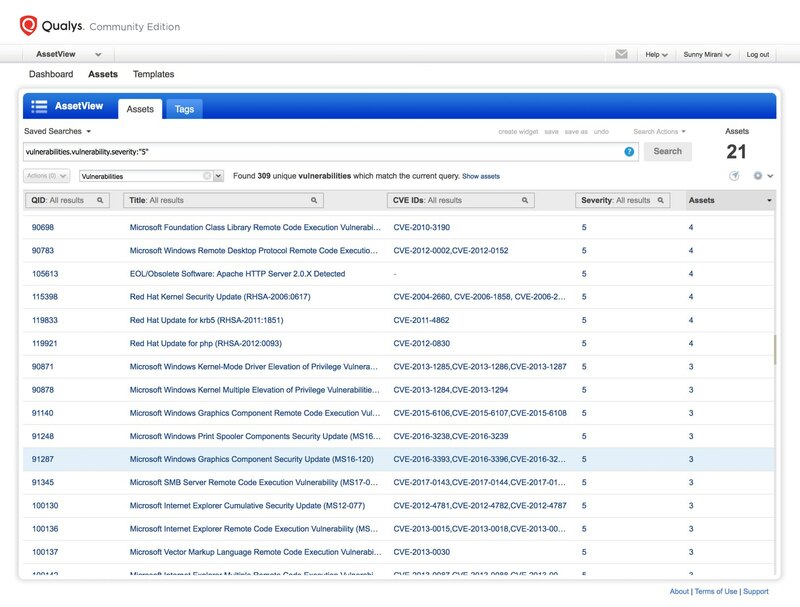 Qualys Community Edition gives you a unified, streamlined view of the assets and web apps being monitored. The dashboard is interactive, customizable and dynamic. It allows you to drill down into details of assets and web apps, and of their vulnerabilities and misconfigurations. You can search data instantly, display it in widgets with graphs and tables, and distribute it in various report formats. 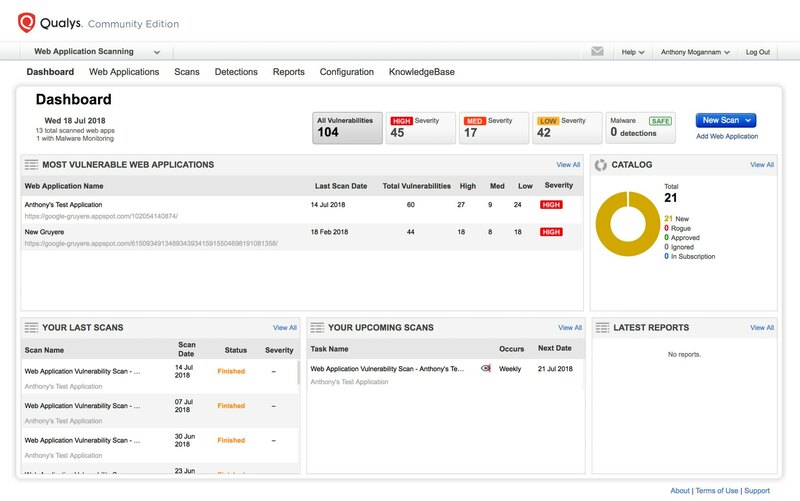 Qualys Community Edition conducts scans for the complete Qualys Knowledgebase of vulnerabilities for your IT infrastructure as well as web applications. The Qualys Knowledgebase is comprised of thousands of CVEs and is updated around the clock, so you’ll always be aware of the latest threats present in your IT assets and web apps. 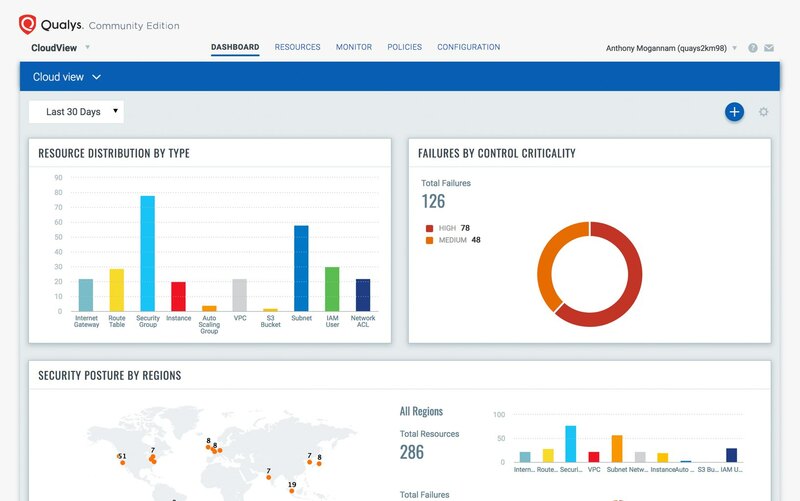 Qualys Community Edition provides a complete, continuously updated, and instant view of monitored IT assets and web apps from a single-pane-of-glass interface. 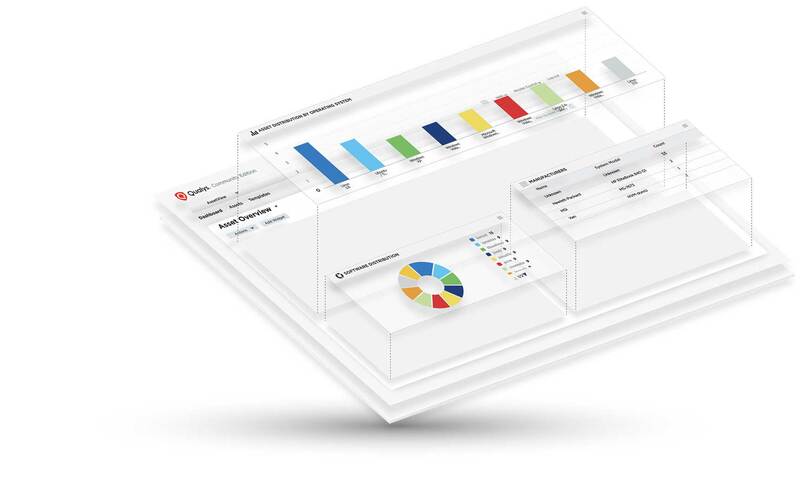 The customizable control panel lets you see the big picture, drill down into details, and generate reports. 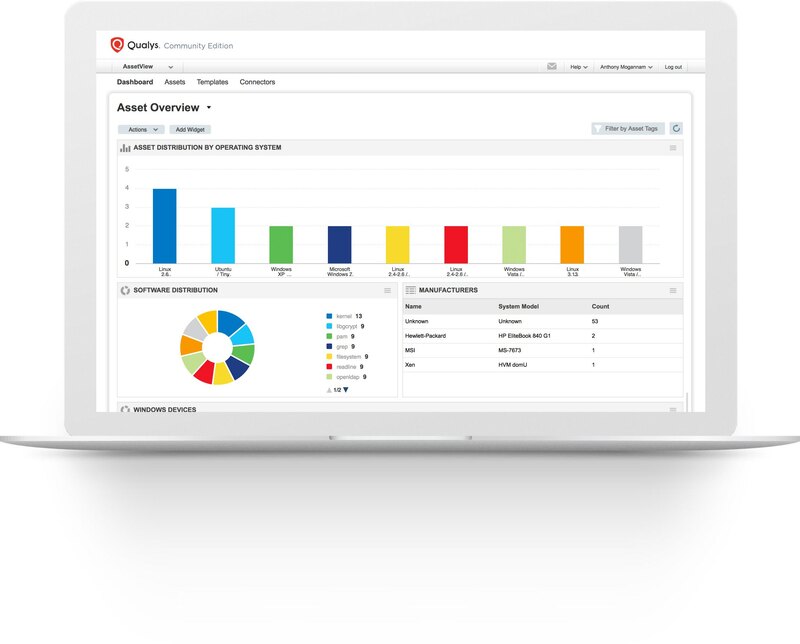 Intuitive and easy-to-build dynamic dashboards aggregate and correlate IT security and compliance data from various Qualys Cloud Apps in one place. Unlimited network mapping lets you keep track of internal and external assets, while monitoring for rogue devices and unwanted hosts. Hackers constantly look for disclosed but unpatched vulnerabilities which can act as an open door to your IT environment. The Qualys Community Edition offers vulnerability management, so that these dangerous bugs can be identified and remediated. Qualys can assess vulnerabilities on all internal IT infrastructure as well as external-facing assets to ensure a secure state. Web apps are a preferred vector for data breaches because they often contain vulnerabilities and misconfigurations. Since they’re usually linked to back to the hosting web server, breached web apps offer hackers a direct path to corporate data. Qualys Community Edition gives you protection in this area with Web Application Scanning for one web app URL. Qualys Community Edition gives you visibility into a key area of your IT environment that’s often overlooked: public cloud assets. CloudView lets you inventory and monitor your public cloud workloads and infrastructure. Gain immediate visibility of your cloud hosted infrastructure. Continuously discover and track assets and resources such as instances and virtual machines, storage buckets, databases. Conduct comprehensive, multifaceted queries of cloud assets. See for yourself. Qualys Community Edition is free.